Growing your own herbs is a great way to have fresh ingredients when preparing meals. One way to do this is to plant some herbs in a garden. Container gardening is another way to do. 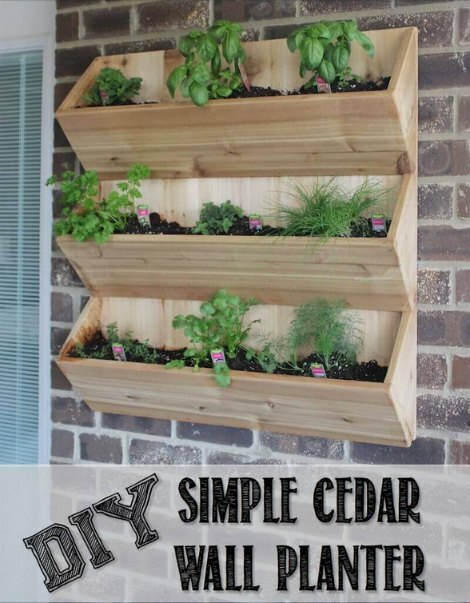 If you want to have something that is DIY, then a cedar wall planter is a great idea. A cedar wall planter will be beneficial in many ways. The most important is cedar is rot resistant and is perfect for a planter that is meant to be used outside. You may notice the look of the planter is a lot like a set of stairs. This is a fun project that can easily be done in a couple of hours. A few tools and supplies are all that is required to build your own DIY cedar wall planter.